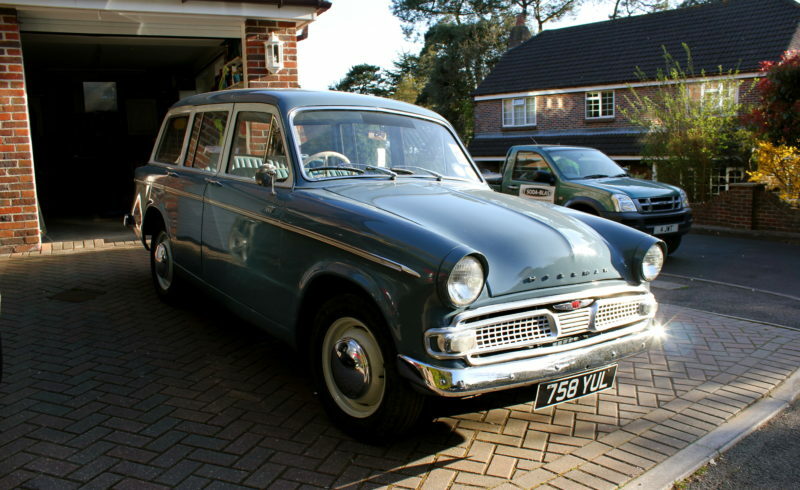 Believed to be only one of 3 remaining Hillman Minx series 3 Estates left in the world. This Beautifully original Series 3 has covered a mere 38,000 miles since new with the original 1600cc engine. The car was imported from Jersey a few years ago from its first owner who had the car since new. It has lovely blue leather interior, all the seats are in very good condition and the chrome on the car is excellent inside and out. There is very comprehensive service history with the car including many original manuals. This is being sold on behalf of a private collector in Bournemouth, wishing to reduce his collection and give a lucky buyer the opportunity to own one of his beautiful classic cars from his most cherished collection.